What does WPS Mean to Agricultural Employers? Texas is the second largest state in the U.S. at almost 270,000 square miles, meaning applicators have to travel a lot. Travelling with pesticides can be a dangerous business. If containers are not secured properly there can be leaks even during an uneventful trip and if anything goes wrong the results can be disastrous. Here are a few simple tips to keep yourself and your family safe during your travels. Vehicle Precautions. A simple precaution you can take is to outfit your pesticide transportation vehicle, so you’re prepared in the case of a spill. Check the dealer and SDS to see if the material requires the driver to carry a vehicle manifest for transportation. Carry a copy of the pesticide label and the safety data sheet. Have a spill kit in the vehicle and make sure that personal protective equipment is included. Outfit each transportation vehicle or driver with a phone, spills or accidents can occur in very remote locations. Look at the containers before you load them into the vehicle. Make sure they’re not leaking and that the labels are legible. You might consider using tubs or liners as secondary containment during transportation. If there were a spill, it would be much easier to clean up and may reduce other contamination. 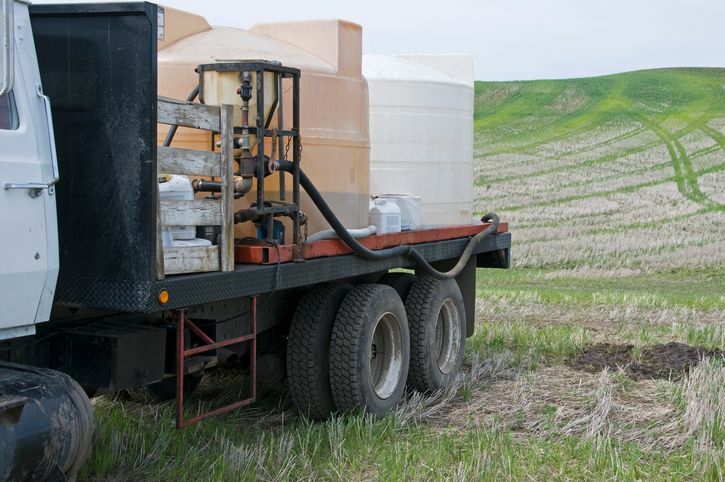 When transporting pesticides, remember to always keep them separated from people, animals, food, feed, seed, and plants. Do not transport them with your groceries. And never transport pesticides in the passenger compartment of your vehicle. Another concern is cross-contamination, so keep herbicides separate from insecticides and fertilizers. Transportation Security Plan. Anyone who transports a hazardous material that requires the vehicle have placards must also have a transportation security plan. This plan must include protection against unauthorized access to the vehicle and load, security checks for employees, and a security plan for the intended routes of travel. If you need further information on this, contact a hazardous materials information center. For more up-to-date safety guidelines, take our approved Texas Applicator Continuing Education 1hr course TRANSPORTATION, STORAGE, SECURITY and PROFESSIONAL CONDUCT.